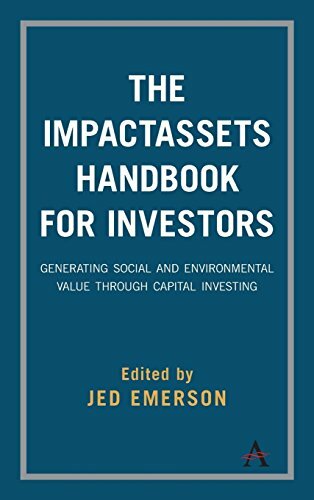 The book is designed for investors who want to build portfolios that create a better world and have a positive impact on social and environmental issues as an integral part of their strategies to generate financial returns. It features a chapter by Kris Putnam-Walkerly, global philanthropy advisor and President of Putnam Consulting Group, “Transformational Giving: Philanthropy as an Investment in Change”. The chapter provides clear guidance for investors who wish to incorporate philanthropy as an investment asset, including nearly two dozen ways that investors can identify, maintain and enhance philanthropic investments that will increase overall effectiveness and transform communities, industries and society. Putnam-Walker said ““When done correctly, transformational philanthropic investments can play a key role in an investor’s overall portfolio, as well as in achieving greater vision, increased impact, and deeper meaning as part of an investor’s total return”. 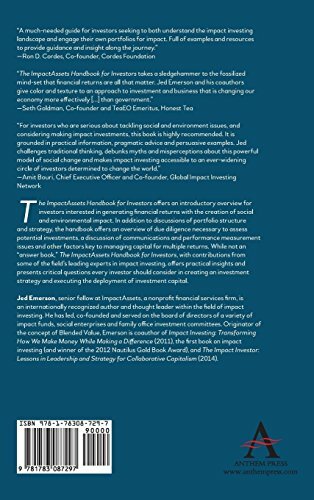 The ImpactAssets Handbook for Investors also includes advice from other experts and industry leaders about investment strategies that intertwine social change and economic return.